OK, so I haven’t blogged in 2.5 years? Maybe it’s because I couldn’t think of anything creative to say. Maybe I was just lazy. So why blog now? Nothing better to do, I guess. But really, it seems I’ve been to Mongolia now so many times that I should probably say a bit more about it. Not that I necessarily know it much better than I did two and a half years ago. I have a better idea of the capacity and idiosyncrasies of the people, I suppose, and I certainly have seen all four seasons (at least two of each) by now. I’ve even picked up a few words of Mongolian: I can tell a driver which way to turn (or not to turn), I can say thank you, hello, yes, etc. Barely survival level, but for my lifestyle in Mongolia I don’t really need to know that much. I have been on this project now since last March. My first return trip to Mongolia was in June of last year; since then I have traveled back and forth about a dozen times, mostly for three and four week trips. However, I managed somehow to wangle a new contract that backs on to the old one; I just finished a three week stint with the Ministry of Finance Budget Project, and have just started on a six (!) 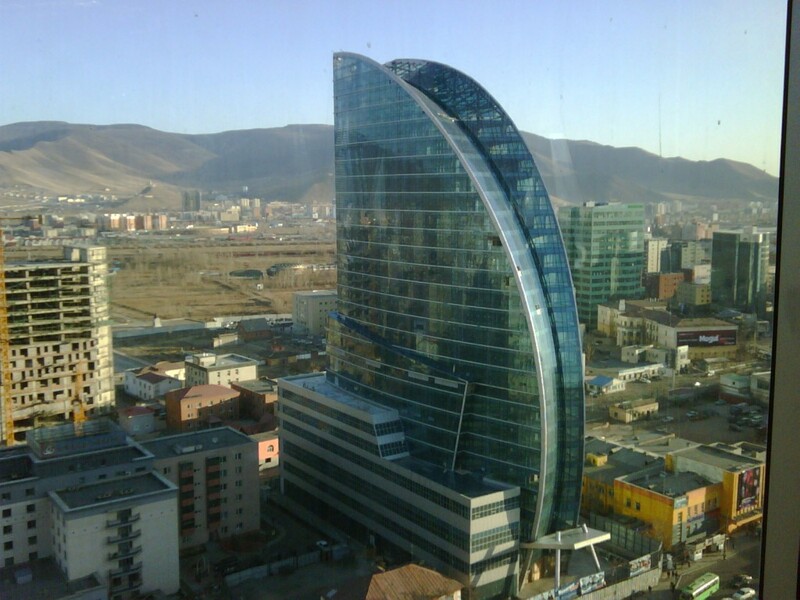 week mission with a new project on Land Registration in Mongolia. So, what this means is that this is my longest trip ever, over two months worth. I miss home terribly already, but this is nothing compared to what it will be like in another six weeks. So, I might as well blog about it!